Australia has some great natural produce and Sydney has a number of great markets selling this produce from pineapples, bananas and other fruits and fresh vegetables. There are also some food markets which specialise in cooking it including the North Sydney Noodle Markets. Sydney Fish Markets located in Pyrmont Sydney open everyday. The North Sydney Noodle Markets are on every Friday evening in the warmer months (October - March). Located on Miller St in the park in front of the library. Chinatown Night Markets are held every Friday night along Dixon St Chinatown Sydney. With stalls lining the street selling noodles, asian foods and arts and crafts. Parklea Markets located close to Blacktown in Sydney's Western Suburbs. Open Saturday and Sunday 8.30am to 4.30pm. Selling fruit, vegetables, clothing, home wares, CDs, DVD, electronics etc. Liverpool Markets located in the southern suburbs of Sydney. Open Saturday and Sunday 8.30am to 4.30pm. Fairfield markets located in the southern suburbs of Sydney. Open Saturday 9am to 4pm. 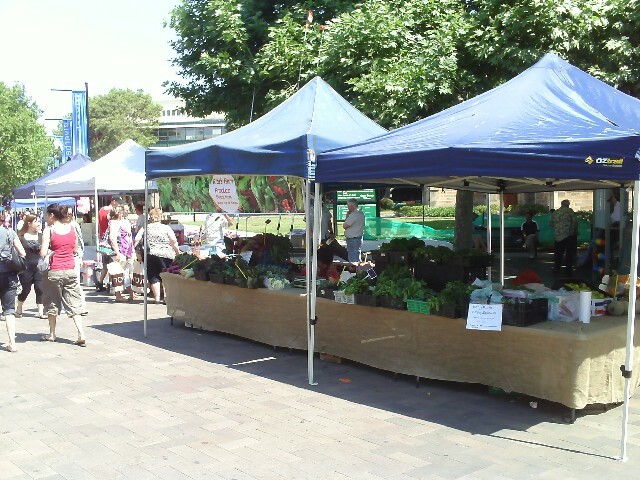 Parramatta Farmers Markets are the oldest produce markets in Australia, established in 1791 they have returned to the Church Street Mall every Saturday. Though these are not big markets with a few stalls selling fruit and vegetable and clothing. Flemington Markets Sydney Produce Markets is a wholesale market selling fresh fruit, vegetables and flowers. Located off Parramatta Rd Flemington, right next to Flemington train station on the Western Line. Open Monday to Friday 6am to noon. Saturday and Sunday they also have arts, crafts, clothing and jewelry. Open all Saturday and Sunday. 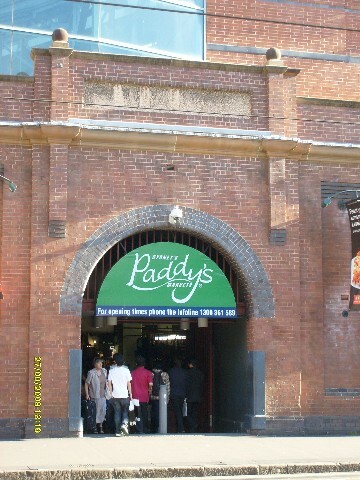 Paddy's Markets located in Haymarket Sydney right next to Chinatown. Selling fresh fruit, vegetables, flowers, CD, clothing, home wares, pets, sunglasses and jewelry. Open Wed to Sunday 9am to 5pm.